Even though the wait for the rumored video iPod never materialized, it was time to end the wait for the upgrade and order a new iPod. 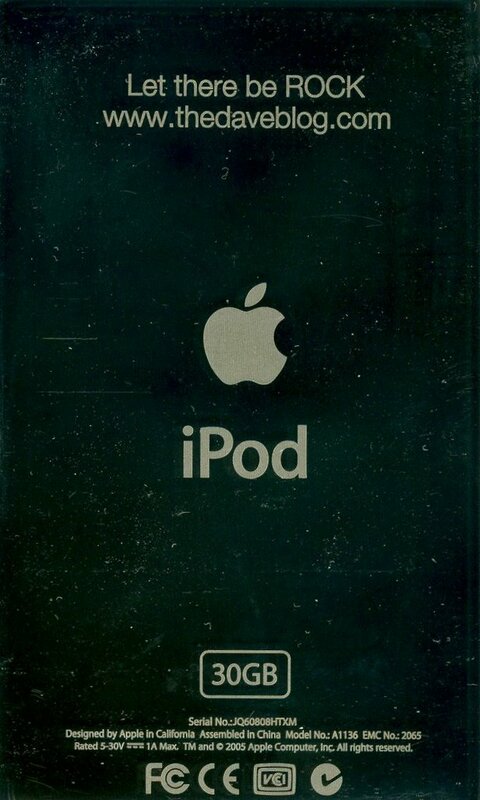 Having Darian urge me to upgrade easily justified the upgrade, since she wanted to get my old iPod. 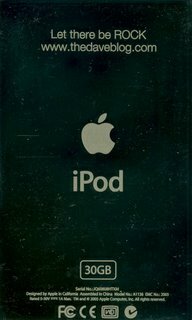 On Wednesday I went to the Apple website and ordered the 5th generation 30GB Video iPod. I personalized with the free laser sketching option and you can see the results for yourself. Long live The Dave Pod!